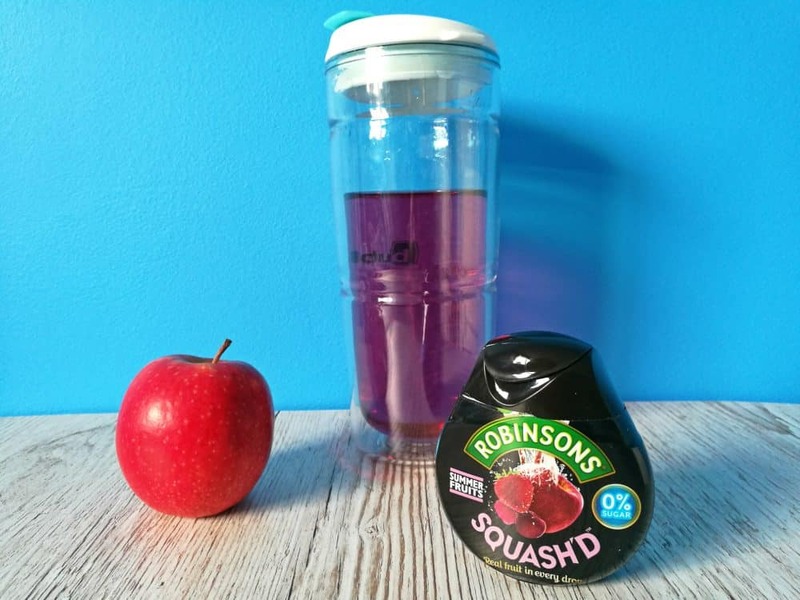 This week is Nutrition and Hydration Week and Robinsons have set my eldest a challenge as part of that, using Robinsons Squash’d. The challenge is to see whether Robinsons can help him to drink more water and actually enjoy doing so. You may wonder why it is only my eldest that has been challenged. That’s because he turns thirteen in a few months and teenagers are often the ones most resistant to doing what they are told! 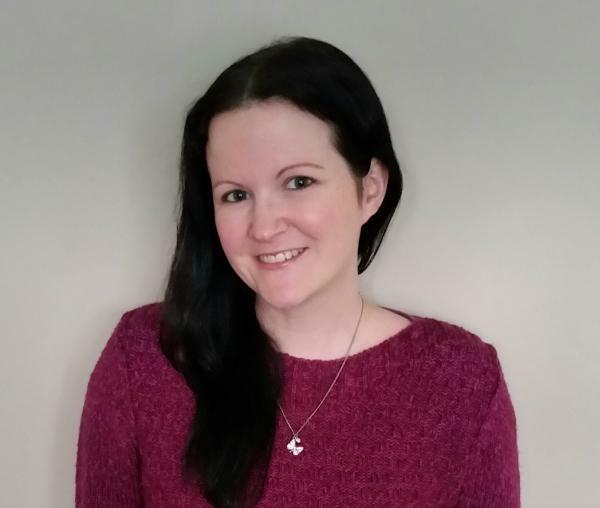 It really is a lot easier to make sure that a younger child drinks enough during the day, as they tend to spend more time with you and are more likely to copy your drinking habits. My eldest is always on the go, he rarely sits still or in fact rarely even sits. He must use a great amount of energy during a day. 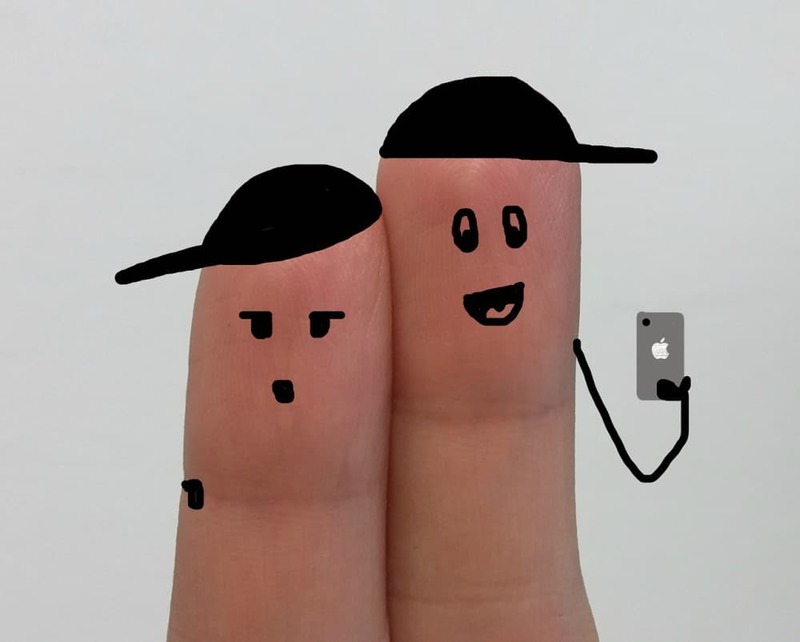 Unless the weather is awful, he is always outside with his friends messing around, playing football, racing on their scooters or riding his bike. He never walks anywhere, he is pretty much always running and makes me feel tired just watching him sometimes! The more active you are, the higher I would imagine your hydration and nutritional needs must be. 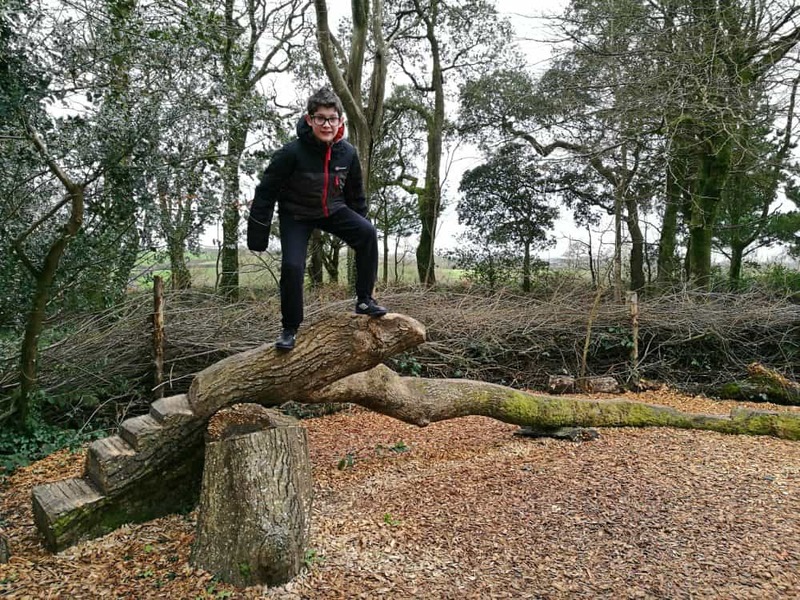 At the moment, he is full of energy at certain points of the day, but can be very hard to get out of bed on time in the morning before school. I’m wondering whether being better hydrated will give him a more sustainable energy. Although I doubt that there is anything that will make him less grumpy in the mornings! Another problem with trying to get him to drink more water is that he has to carry his stuff around all day at school and so he doesn’t want a huge drinks bottle in his bag. I can understand this, as his bag is so heavy already. That’s why I think the Squash’d challenge will be very good for him as he can just carry this in his bag throughout the day and add it to his water whenever he fancies a nice drink. He does have the option to buy an extra drink at school. 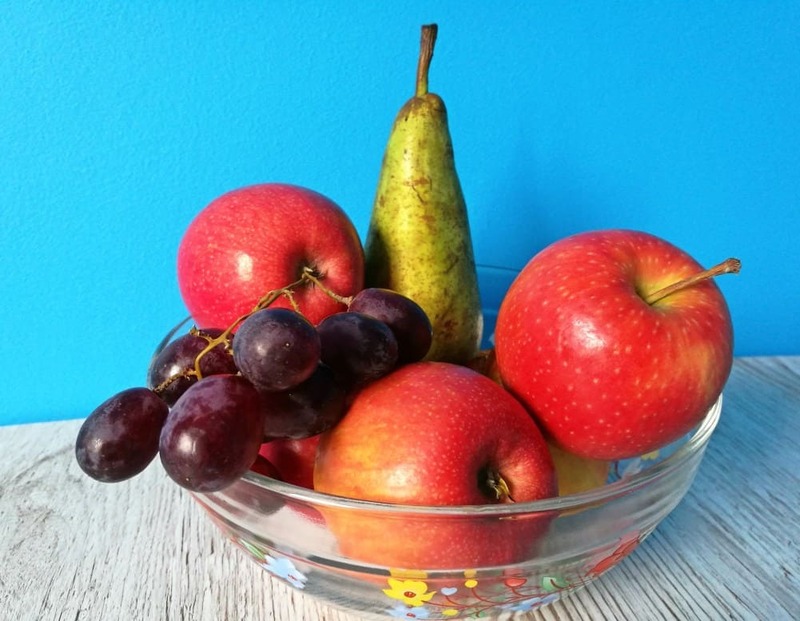 The choices tend to be fruit juices or water. He isn’t keen on drinking just plain water and we have a slight issue with fruit juices, this is because Fin has Type 1 Diabetes, which means although he can drink and eat the same things as anyone else, having anything sugary usually means that he needs to have an extra injection of insulin, unless it’s at a mealtime and he’s carbohydrate counted for it. 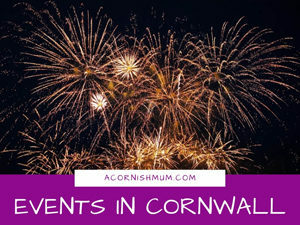 I am really hoping that he likes the Robinsons Squash’d when he tries it this week, as it will help us out a lot and hopefully protect both boys’ teeth a little if we can stop reaching for the fizzy drinks. The Squash’d has no added sugar and is carbohydrate free, so it is perfect for us. I’ve had a sneak preview of the Summer Fruits and loved it myself. 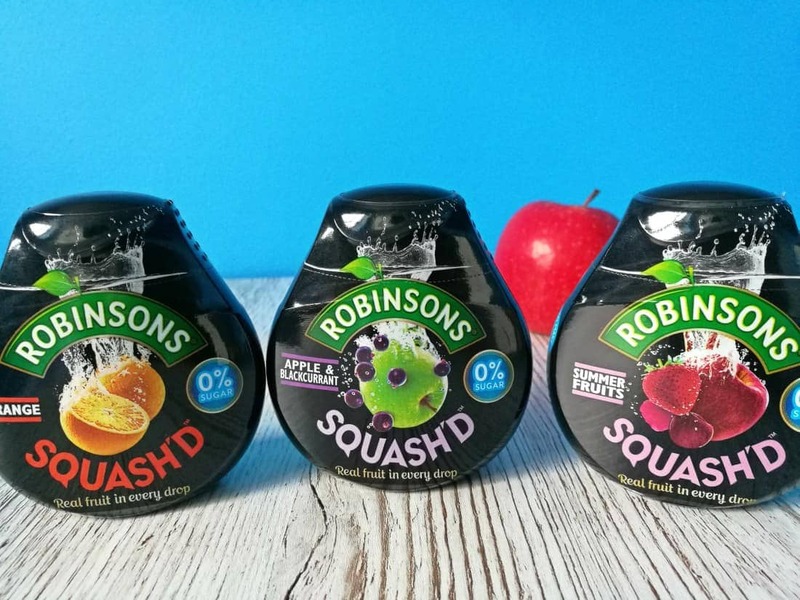 The Robinsons Squash’d range comes in seven different fruity flavours and have real fruit in every drop. There’s also only up to 3 calories in every 250mls, which isn’t something my children need to worry about, but is appealing for me personally. Each Squash’d also makes 20 drinks when added to water. I am hoping that if Robinsons Squash’d can get Fin drinking more during the day, then I can also stop having to nag him to drink more in the evenings to compensate for the day times. I am sure I can find something else to nag him about more to keep the balance right, as apparently I nag a lot. Always unfairly of course. Is it only my children who need reminding to drink, or are your children the same? When they were small, they constantly wanted drinks all the time, especially as a delaying tactic at bedtime, but now they seem to just ‘forget’. I am hoping he loves the Squash’d and drinks a lot more this week, but we will let you know how we get on. This may actually be something we agree on. Is This The Year Where I Get Hit With A Dose Of Karma? I’m not a huge fan of just drinking plain water either so this is great for me to take out and about. 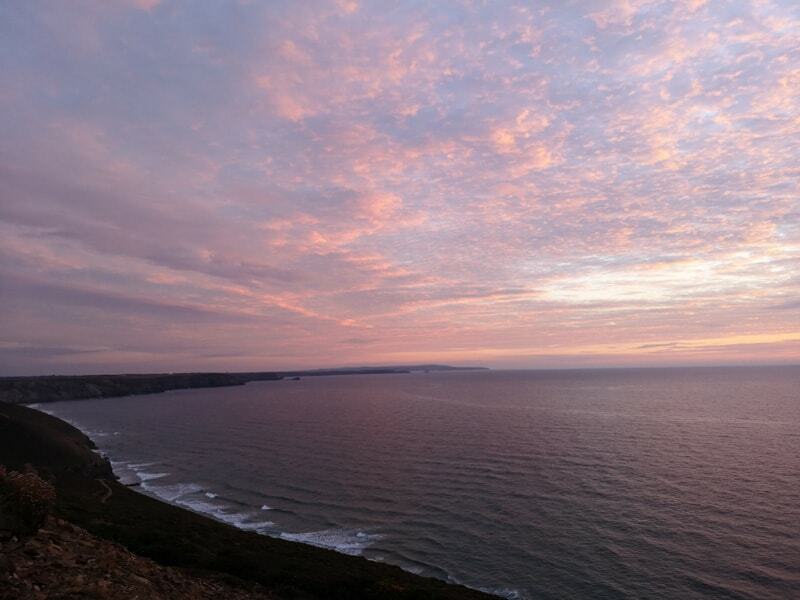 We just took some on holiday too – it takes up much less space than a big bottle of cordial! The orange one is my favourite! Perfect timing too, as poor Fin’s been ill so has needed to drink as much as possible. i find these useful on days out we carry a bottle of water and some plastic cups and use this to make drinks on the run, especially useful on holiday too. Yep I have one who is happy to drink loads (like me) and one who doesn’t drink enough at all. This sounds like a great challenge, I’ll be watching to see how Fin gets on, we might have to try it too. It’s made me realise how little I was drinking myself as well, so I think it’ll be good for all of us. Good luck! I’ll be surprised if it doesn’t work. My wife drinks the Squash’d drinks at work although I stick to the pink grapefruit flavour in teh 1 litre bottles. Can’t get enough of it. He’s been drinking loads more, so I’m calling it a success ;) I love the Orange one, I’ve not tried their pink grapefruit squash, will have to try that next.